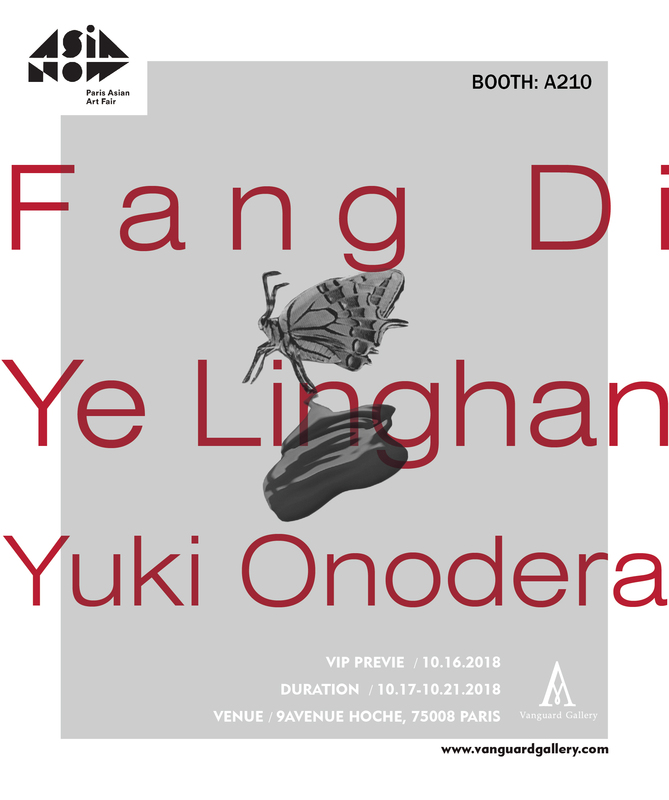 Vanguard Gallery is delighted to present Fang Di, Ye Linghan and Yuki Onodera at ASIA NOW 2018, Booth A210, from 2018/10/17 to 2018/10/21. The three artists form a dialogue over urban life in today’s society from a macro perspective to personal experiences. Fang Di’s works convey not only the evolution of urbanization, but also his political attitudes. He is interested in urban practice, references to news, and view himself as a tourist in his videos and multimedia installations. His works use multiple vocabularies to investigate the entanglement in our city life, and reflect on the rapid and chaotic changes that we involved in today’s society. Ye Linghan’s works have strong symbolic features and fragmented processing of temporal and spatial sense. His recent works discuss the redefinition of our identities as human in the Internet era today. Through colors in 64-bit RGB forms, techniques with electronic features, and layered fragments of memory that came from browsing history, Ye flattened a selection of images off the internet, layered and clustered them, then created a layered sketch of various virtual identities of the same individual in the cyber world. The works of Yuki Onodera have long been companied with comments such as “unbelievable”, “fantastic”, and even “obscure”. Her works have never focused on things that bear explicit reference visibly, but contain her personal experiences subtly. This year at ASIA NOW, we are showcasing two of her series “Liquid, TV and Insect” and “Eleventh Finger”, which haven’t been shown with us before.